As great as they are, State Parks aren’t your only camping options. The U.S. Army Corps of Engineers manages much of the land around Kerr Lake, including many parks and recreational areas. 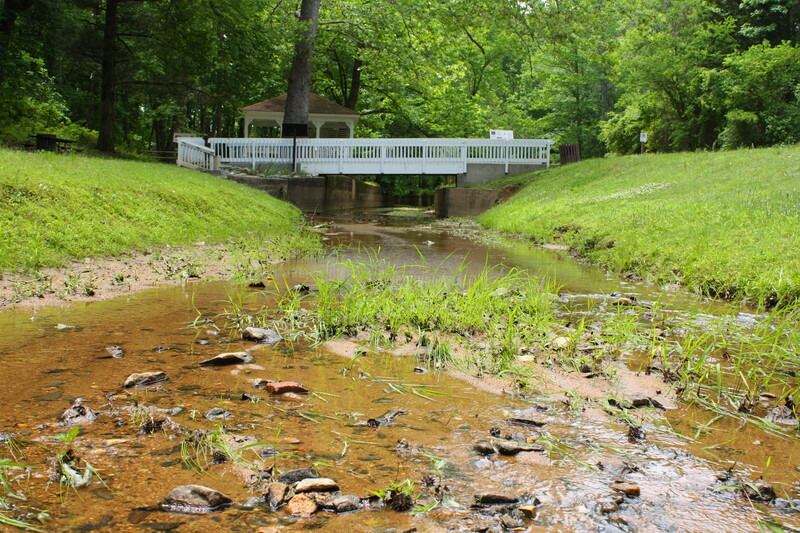 Rules for Corps of Engineers parks are basically the same as rules for State Parks. 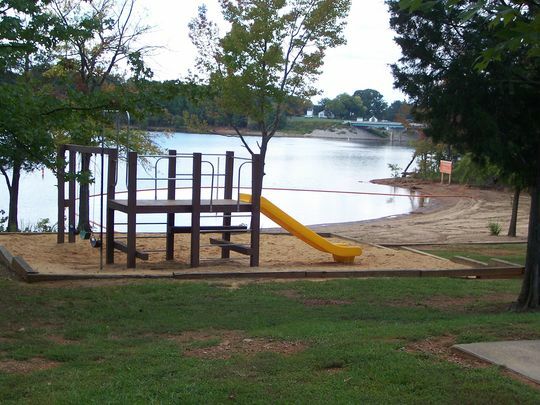 Located just outside Clarksville, this park offers 66 sites for tents or RVs, as well as a public picnic area with shelter and a public swimming beach. 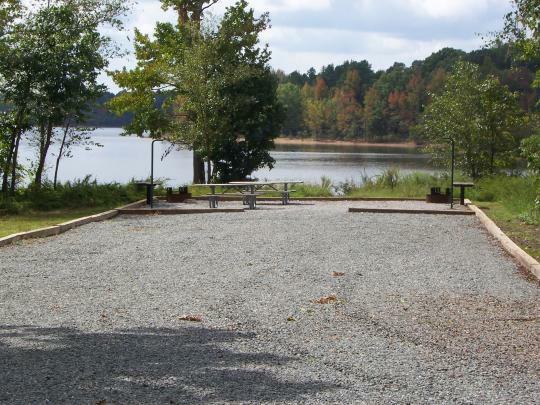 This major camping park is near the easternmost tip of Kerr Lake, about a 20 minute drive from Clarksville. North Bend is a magnet for camping groups, and has two major group camping areas. 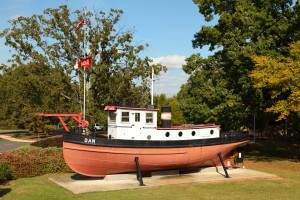 The Joseph S.J. Tanner Environmental Education Center offers exhibits of the natural wonders found around Kerr Lake. During the summer months you can frequently find Park Rangers or volunteers conducting fun interactive programs for the public. From a forest diorama, to the reading nook, to live critters the Center is a popular stop for families. The Center is free and open to the public from April 1st to October 31st, Saturday, Sunday, and Federal Holidays, 9:00am-Noon and 1:00pm -4:00pm. In addition from Memorial Day Weekend to Labor Day Weekend the Center will also be open on Thursday and Friday. Located in front of the Tanner Center is the Butterfly Garden. This is a great place for the pollinator enthusiast to observe and photograph these beautiful creatures.Tugboat Dan is also the perfect spot for a photo op, while reading about her exciting history on the water. The Center was officially named on September 28, 2002 for retired John H Kerr Operations Manager, Joseph Tanner. Devoted to his love of children and the environment, Mr. Tanner was instrumental in establishing the center, and dedicated his career to serving the public. He passed away January 2002, and was never able to see his dream come to fruition. In a past life the building served as the Management Center from 1960 to 1988, until the new Visitor Assistance Center was opened. The little building was used as a Nature Center during the summer months until 2000 when the roof began to leak and damaged the electrical circuits, floors, and walls. The Corps revamped the center replacing the roof and adding paneling and carpet. The result is a regional learning center for children and adults of all ages. Approximately 10 miles west of Clarksville off of Highway 58. Buffalo Spring is an unincorporated community in Mecklenburg County, Virginia. It lies at an elevation of 364 feet (111 m). Located at Buffalo Springs is the Buffalo Springs Historical Archeological District, listed on the National Register of Historic Places in 1998. Buffalo Springs specifically refers to a natural spring found in the area. 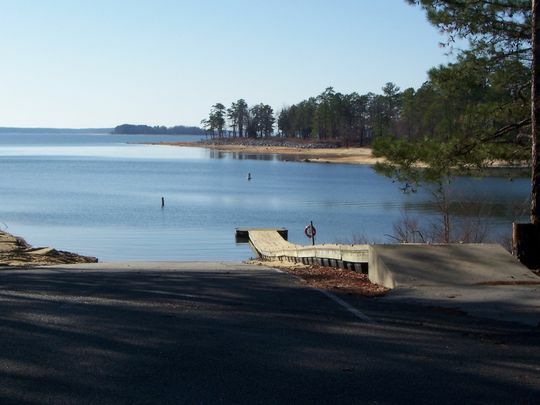 A short 10 minute drive east of Clarksville, tucked up into an inlet, Rudds Creek Campground and Day Use Area have a lot to offer.